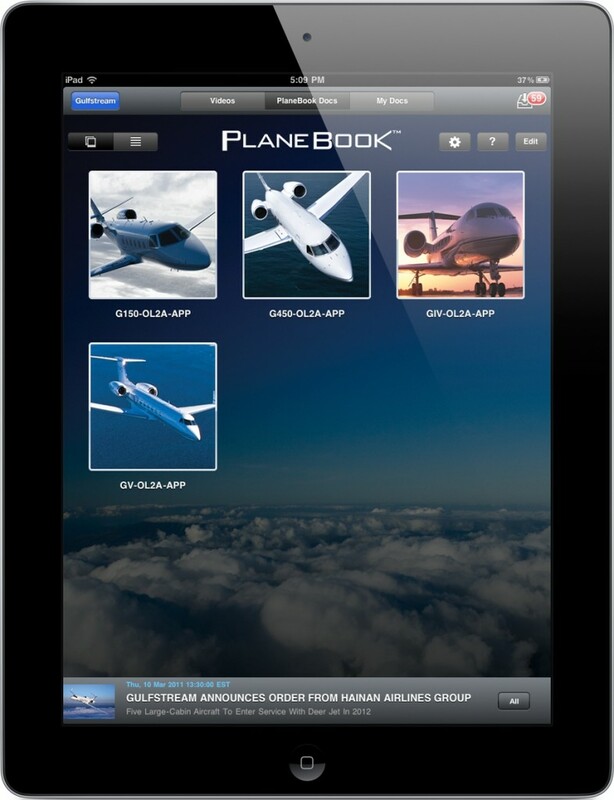 Gulfstream has released a new app called PlaneBook for the iPad. PlaneBook is an electronic document management system, a handy resource for pilots. The app provides pilots easy and quick access to critical flight information and air-craft specific documents, such as the Airplane Flight Manual, Operating Manual, pilot checklist and Quick Reference Handbook. The PlanBook app also allows pilots to create and add their own content, including checklists, standard operating procedures and other reference materials. In addition, instructional videos for each of Gulfstream’s aircraft have also been included. The Gulfstream PlaneBook App is available now from the Apple App Store.